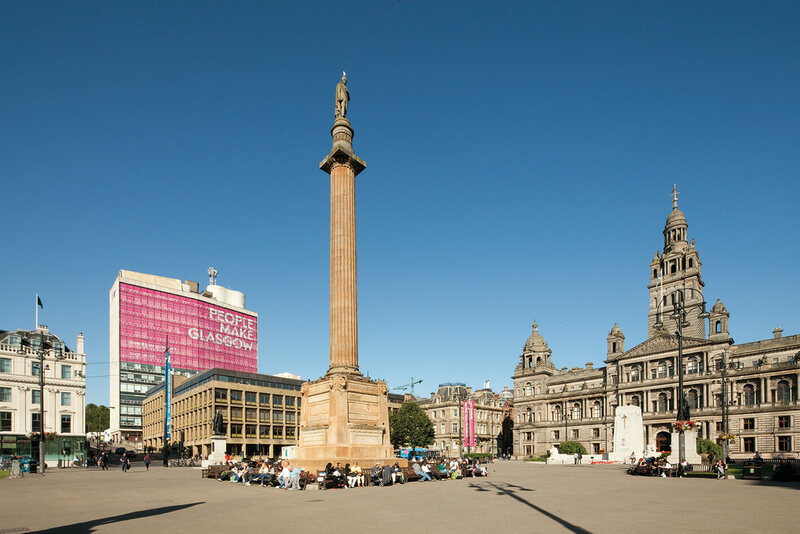 With its elevated city centre position, 60 North Hanover Street is one of Glasgow’s most prominent landmark buildings, being highly visible from virtually anywhere around the city. 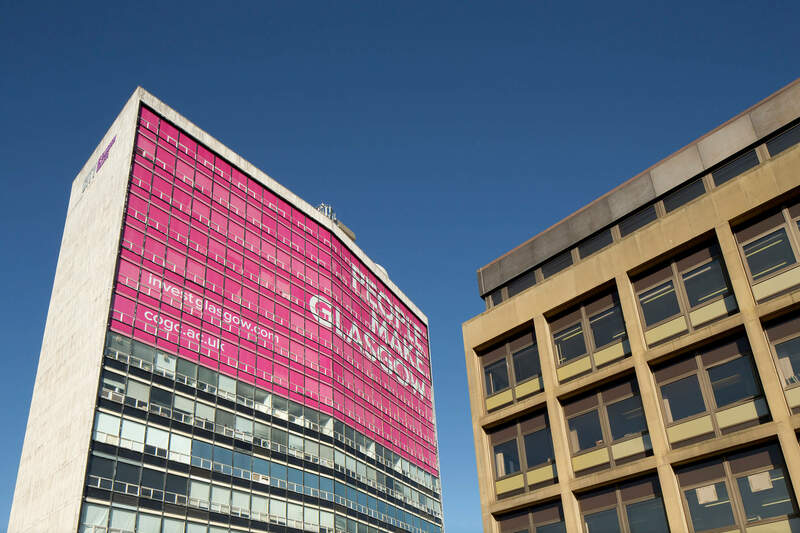 The relocation of City of Glasgow College to a new purpose–built City Campus, close by in Cathedral Street, resulted in the building coming onto the market. 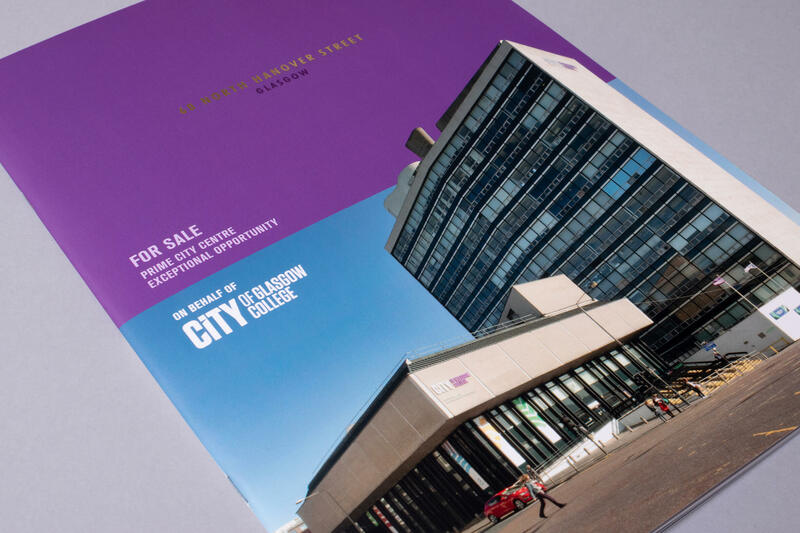 As one of our team was a student in the building back in the days when it was the Metropolitan College, we were delighted to be asked to produce the marketing collateral for this Glasgow icon. 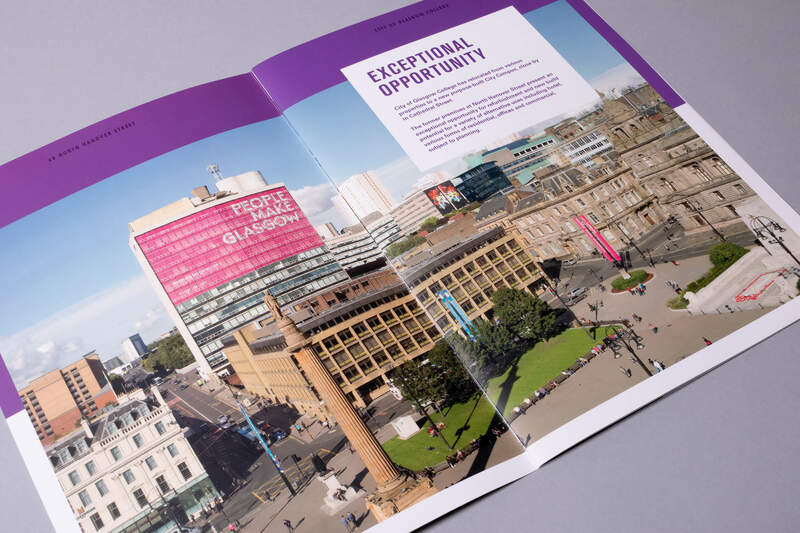 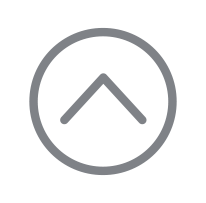 As the property is suitable for a variety of potential uses including hotel, residential, offices and commercial, the purpose of the brochure was to sell the outstanding location while emphasising the numerous benefits that the City of Glasgow has to offer. 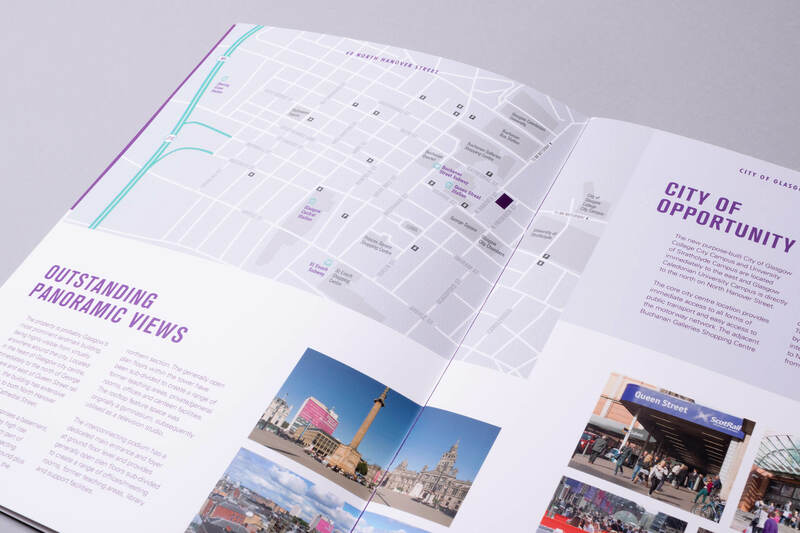 Heavy card and a touch of gold foiling were chosen for the brochure to hint at the quality of the proposition. 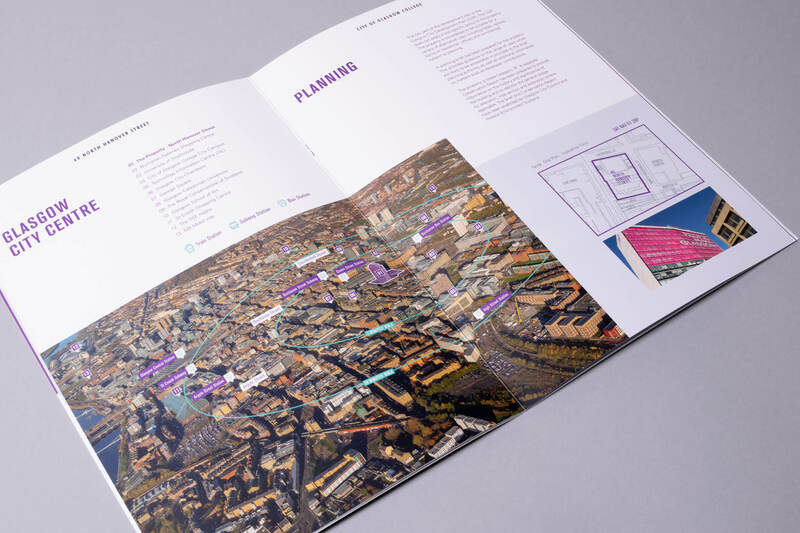 Mirroring the brochure a website was designed that provided access to additional information including a short film and a photography gallery.